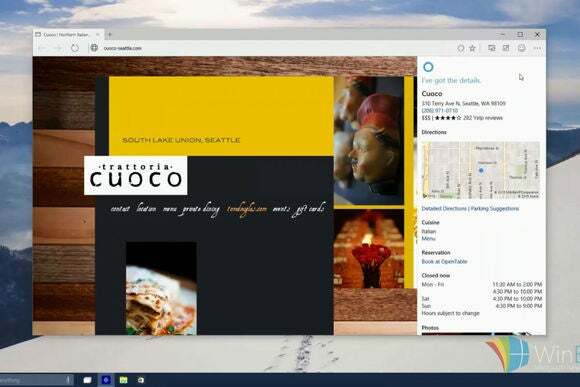 Microsoft hasn't quite made it official, but a Microsoft executive recently came the closest yet to confirming that Project Spartan—the primary browser in Windows 10—will not be named Internet Explorer. During Microsoft’s Convergence conference in Atlanta on Monday, Microsoft’s marketing chief Chris Capossela pretty much admitted that the name Internet Explorer was on its way out, as first reported by The Verge. Alongside Project Spartan, Microsoft will also release Internet Explorer 11 as a legacy option primarily for enterprises with applications and internal sites designed for Microsoft’s longtime browser. Why this matters: Internet Explorer is still the most popular browser on Windows, but it is far from the most capable. Browsers like Chrome and Firefox feature far more consumer-friendly features and a broad catalog of extensions and add-ons that IE has never been able to match. Google’s Chrome is also morphing from just a browser to a complete desktop-like working environment with the web at its center. To keep the built-in Windows browser relevant, a fresh start is sorely needed. Dumping the Internet Explorer brand as part of the reboot would go a long way to reinforcing the new browser’s departure from IE. Project Spartan has yet to roll out to Windows 10 users, but rumors and leaks about it have been popping up in recent weeks. The new browser will come packed with Cortana, Microsoft’s personal digital assistant that is also built into the Windows desktop. Based on a leak earlier in March, Spartan will have a streamlined interface that is very basic and almost Chrome-like. The Spartan browser also comes with a brand new rendering engine called Edge. The new browser engine promises to be much speedier than Trident, which powers IE. Edge is already built into the Windows 10 preview and can be enabled for Internet Explorer 11. We should get our first look at Project Spartan later in March after the browser is added to an upcoming preview build of Windows 10. In the meantime, check out the 10 must-try new features already active in Windows 10.